Sandro is a seriously popular spot at the moment. Their take on North African fusion food is making waves with good reason and their Sunday brunch is considered to be the best in town. 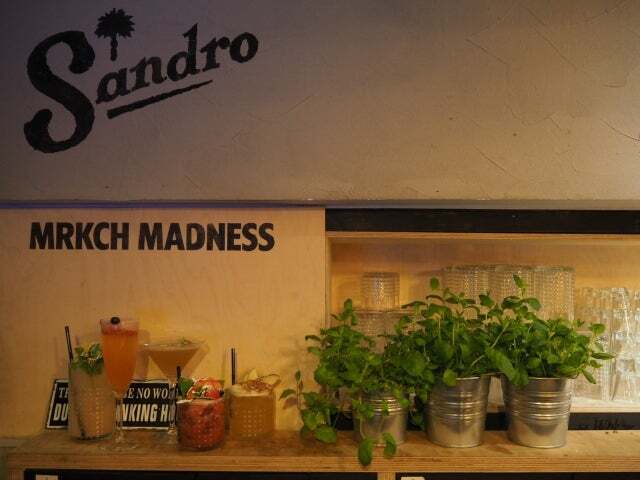 Sandro is a seriously popular spot at the moment. Their take on North African fusion food is making waves with good reason and their Sunday brunch is considered to be the best in town. They also serve excellent cocktails amid cool but cosy surroundings. The place is really good for vegetarians – and vegans, if that’s how you roll – but everyone should be happy given the eclecticism of the menu. Their confit duck burger is a heavenly thing, they serve top notch shakshuka, and a glorious sabich, that glorious Israeli aubergine wrap. Their Garden of the Gods is aptly named, bursting with tasty things. The service is friendly and the place is always buzzing in the best way. Booking is advisable, particularly if you’re planning on trying the brunch.